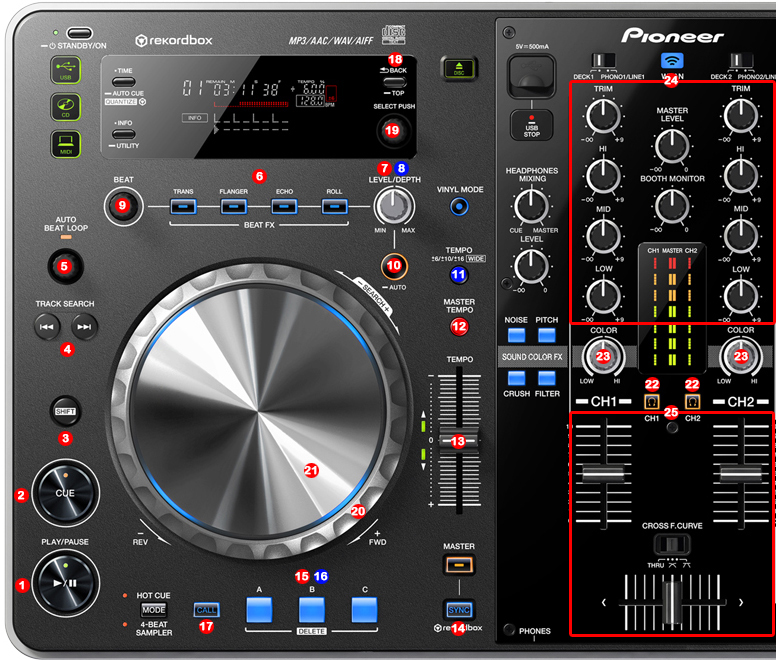 "DJ ProMixer The first Professional DJ Software Low Cost & High Quality." 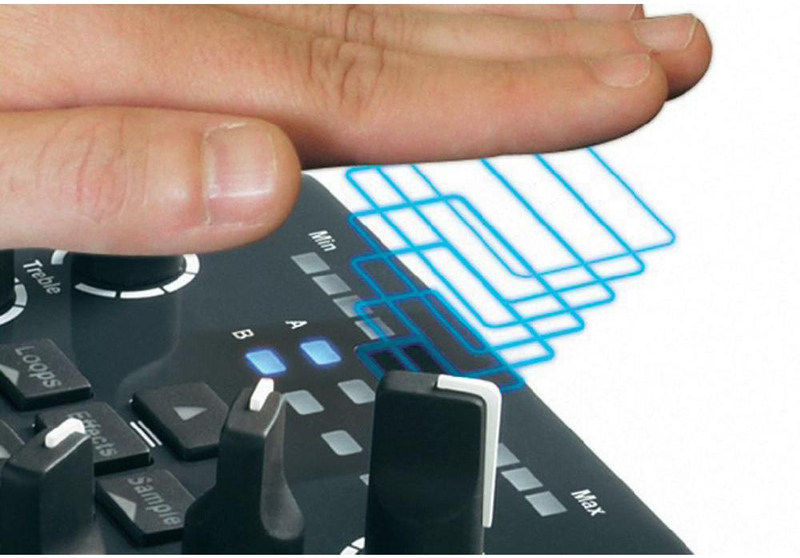 Only One Activation Code for 1,99 € Easy, intuitive and ergonomically designed for Deejays. 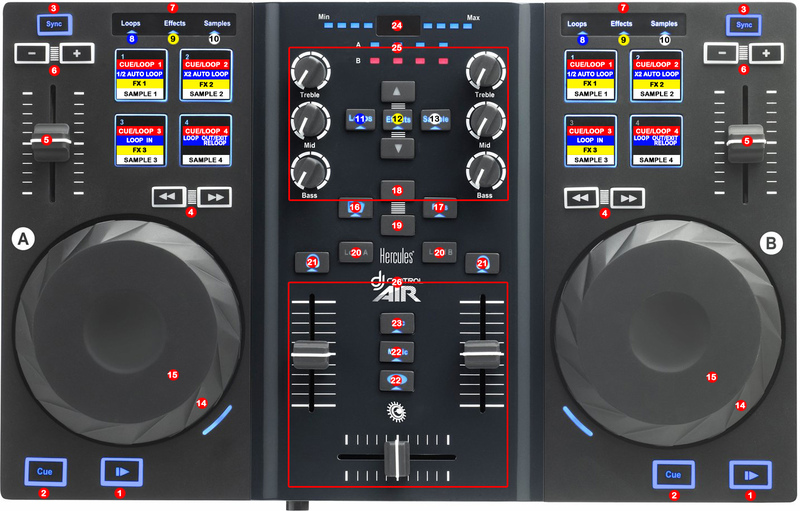 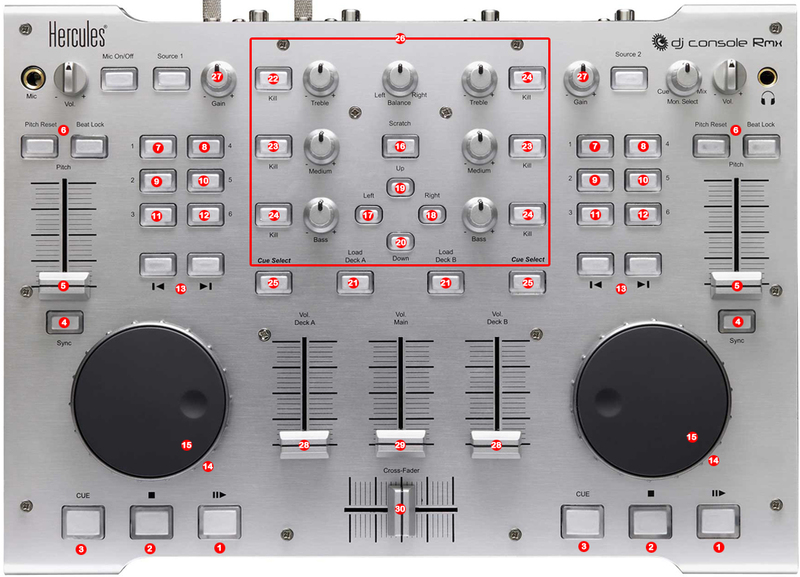 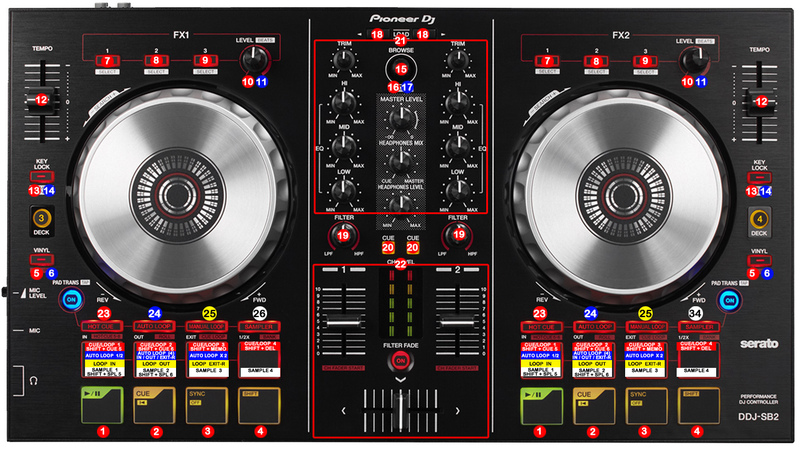 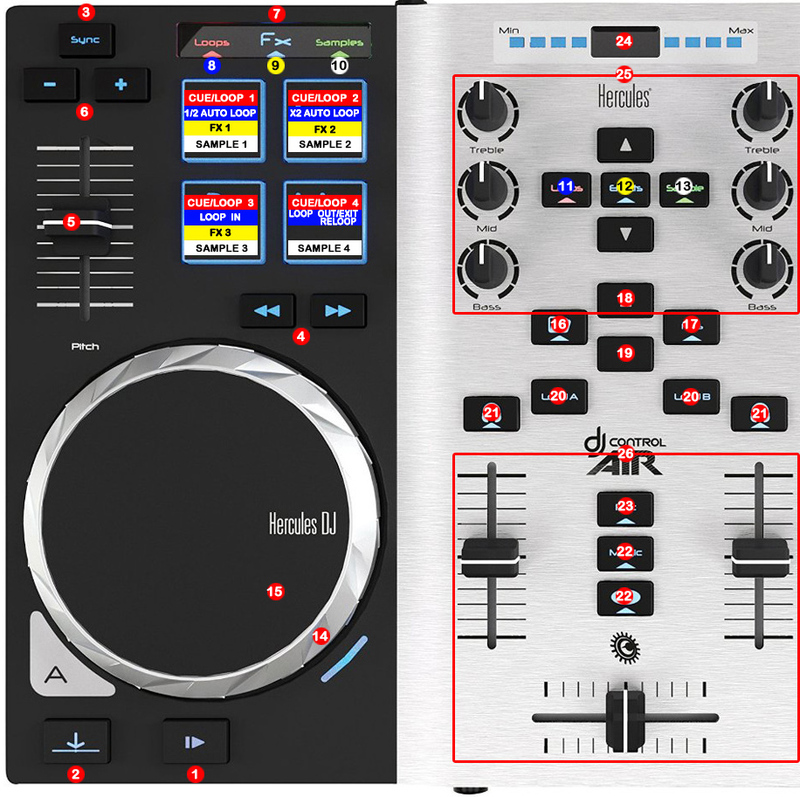 DJ ProMixer has been designed and conceived to offer the best professional program for the deejay, with a clear design and an intuitive interface, DJ ProMixer is at the forefront by delivering a professional product at low cost, while maintaining a high quality standard. 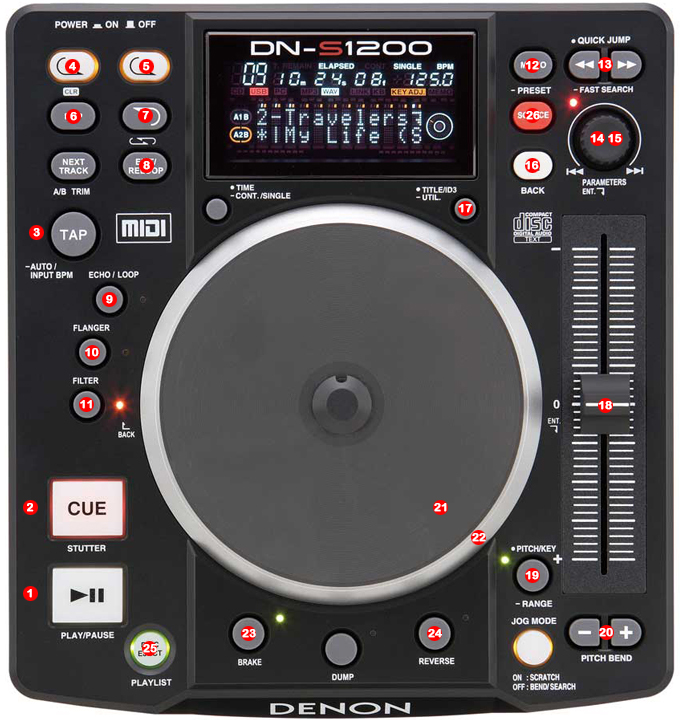 Compatible with the latest generation of CD Midi and the most sold MP3 controllers: Compatible with the Pioneer CDJ 400, Numark ICDX, and Reloop RMP-3 Alpha in single mode (with one CD MIDI can be controlled two Decks) or dual (one CD for each deck). 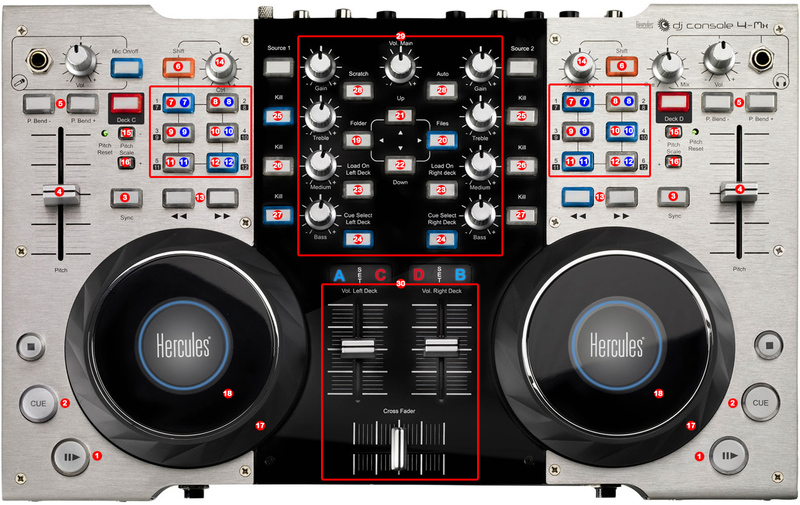 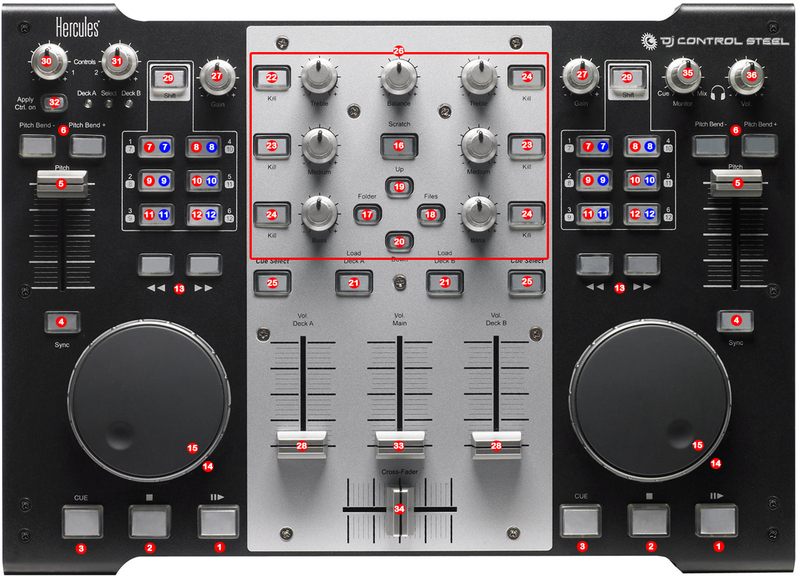 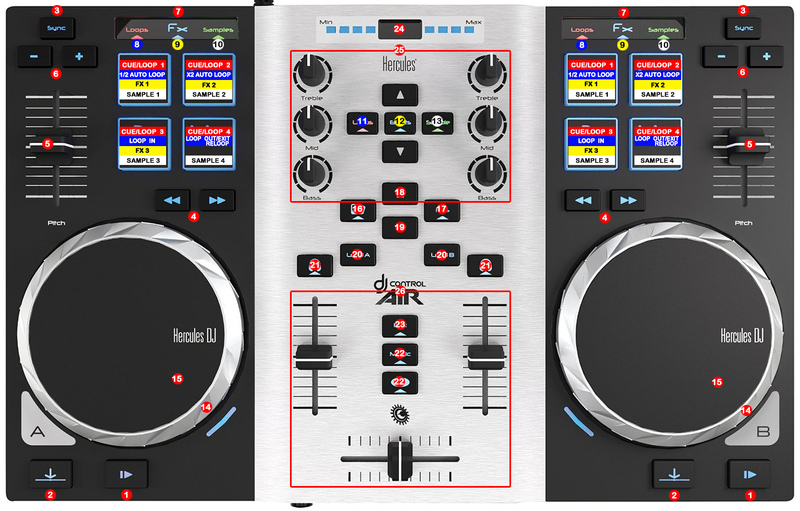 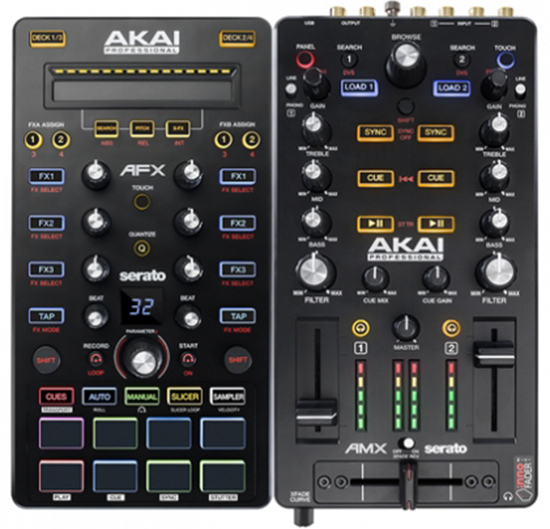 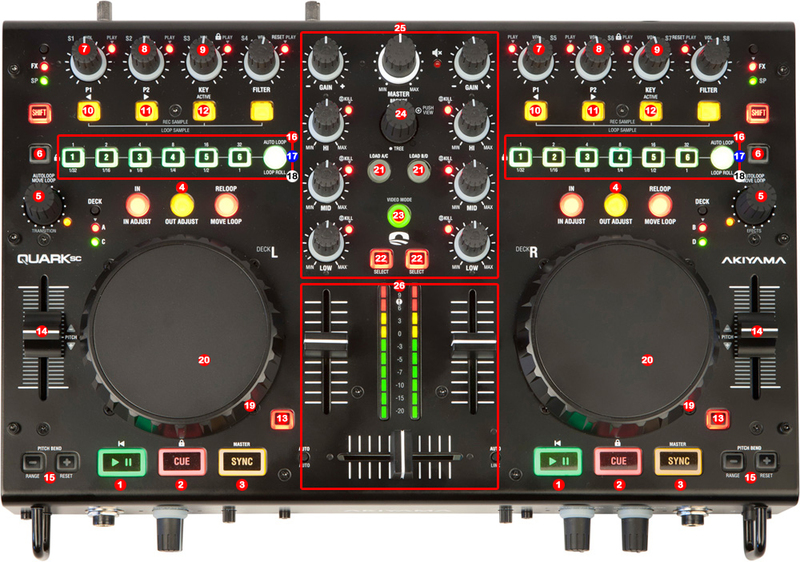 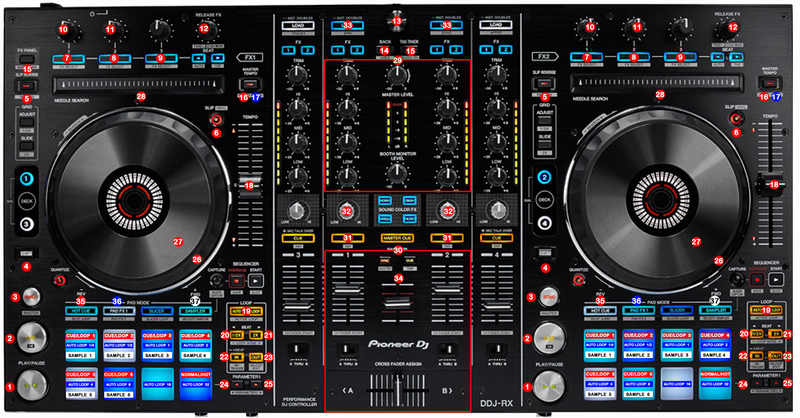 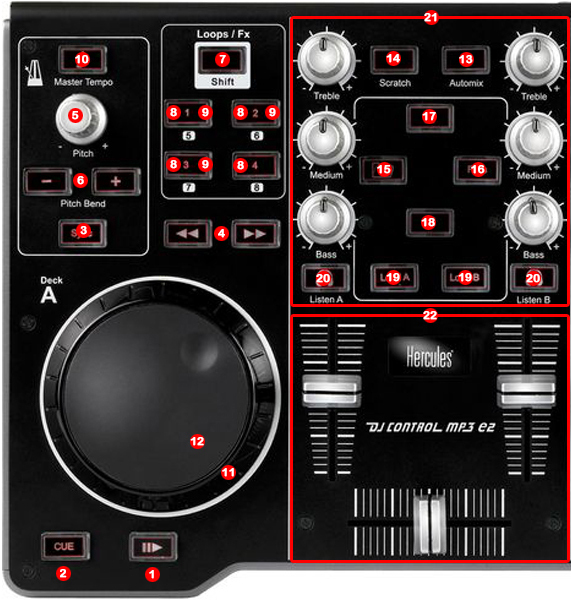 DJ Promixer offer compatibility with the best and most sold MP3´s controllers in the market: PIONEER, DENON, NUMARK, RELOOP, BEHRINGER, Hercules, ION, VESTAX ... Behringer BCD 2000, Behringer BCD 3000, Hercules DJ Control MP3 E2, Hercules DJ Console MK4, Hercules DJ Control MP3, Hercules DJ Console MK2, Hercules DJ Console Steel, Hercules DJ Console Rmx, Ion Discover DJ, Numark Stealth Control, Numark Total Control, Numark Omni Control, Reloop Digital Jockey, Vestax VCI 100... Three different system performance Three different forms of system performance to offer the best way to adapt DJ ProMixer to your computer with optimum efficiency. 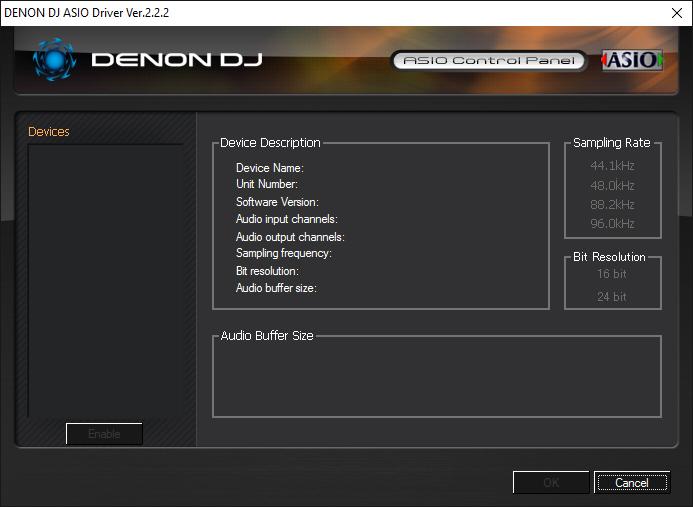 For Fast, Medium and Slow computers also included Netbooks settings. 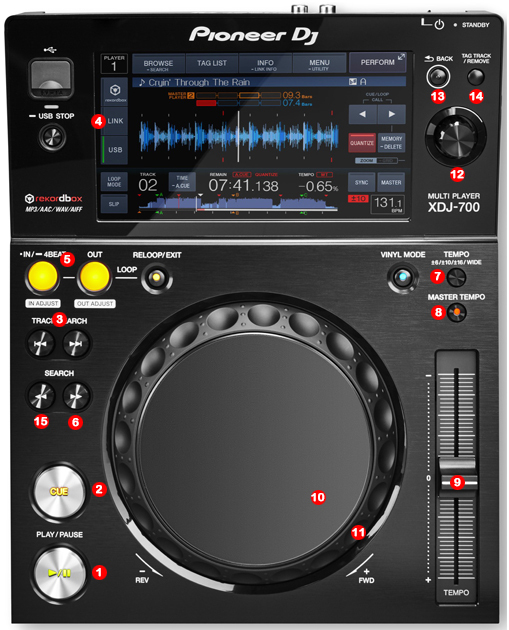 Sync.System "Ultra Sync" DJ Promixer incorporates the most advanced system´s of synchronization tracks, which can synchronize to one thousandth of a Beat, so we can mix even the loops with high accuracy which enables us to do live remixes. 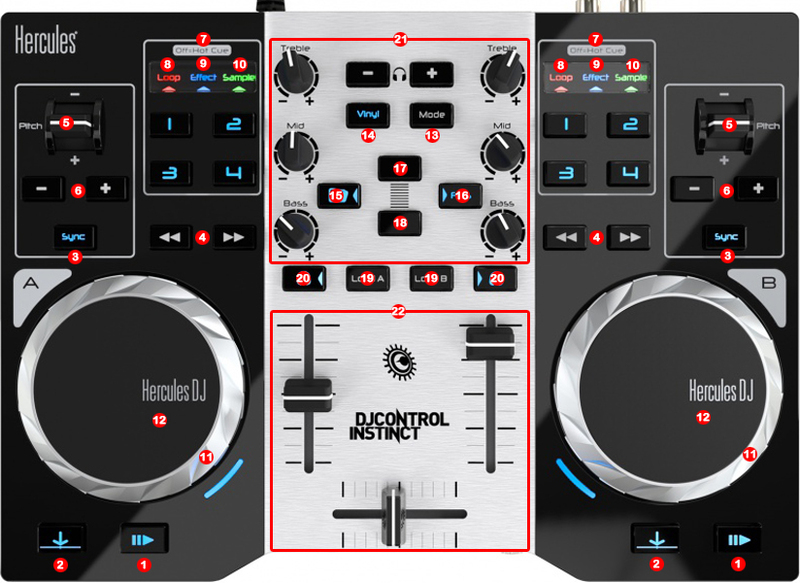 Wheel Multifunction The Wheel of DJ Promixer is the most advanced of the market, attractively designed with VU with a “vintage” look, is a multifunction wheel also controls the bend, scratch, quick search and effects. 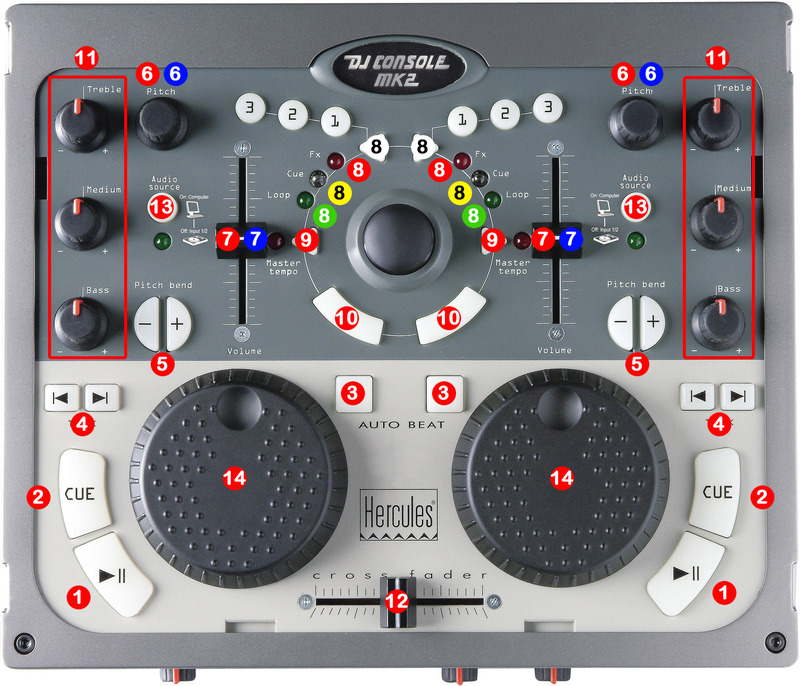 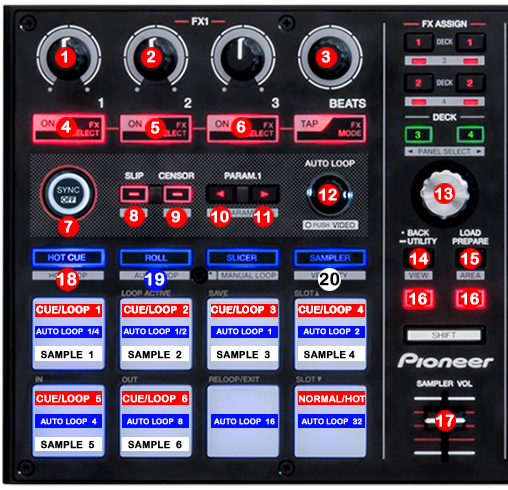 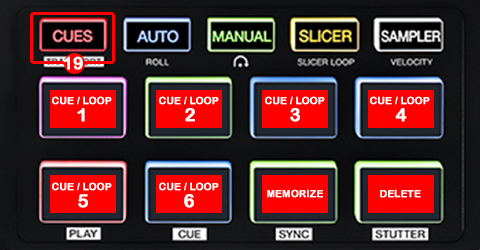 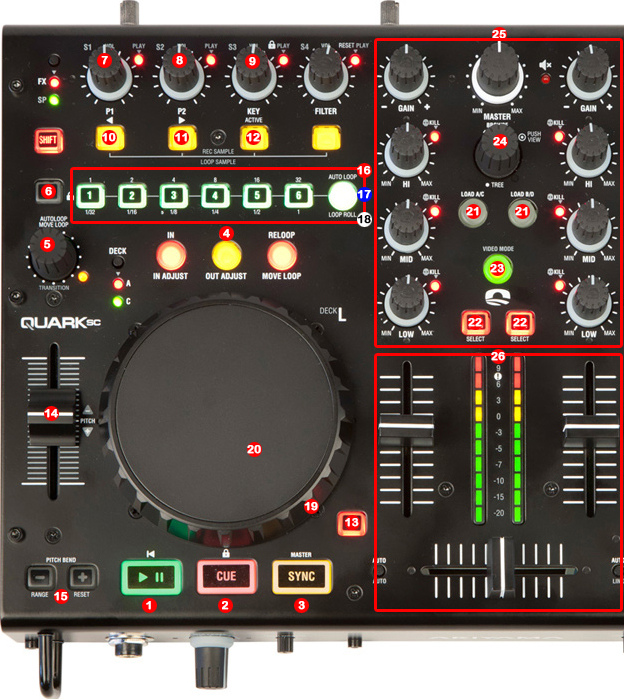 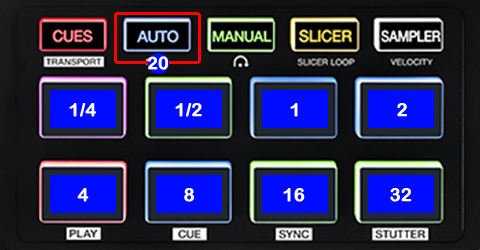 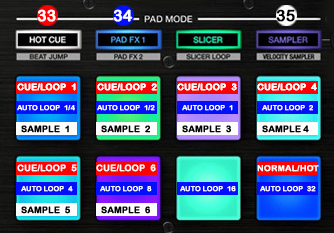 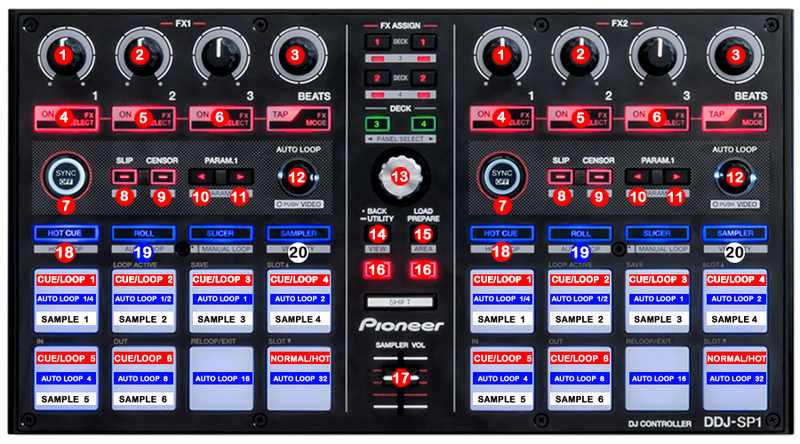 Six memory banks CUE / Loop mode selectable Hot / Normal DJ ProMixer has incorporated a memory bank to allocate six points interchangeably CUE or Loop. 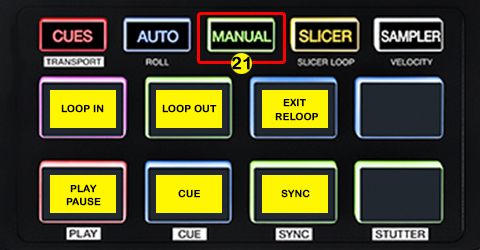 Also starting point Cue or Loop can be done in the normal mode (pause and start) or a hot mode (direct start without pause). 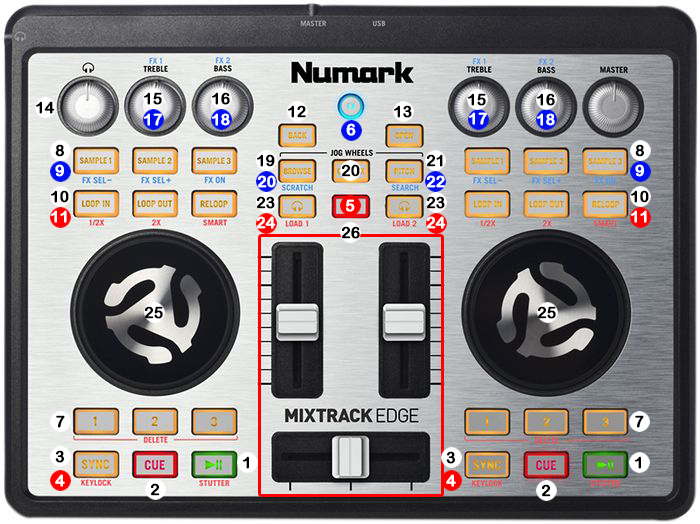 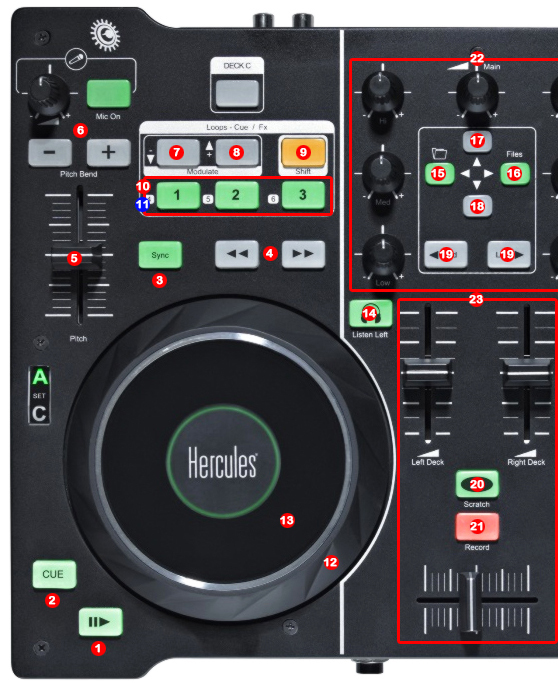 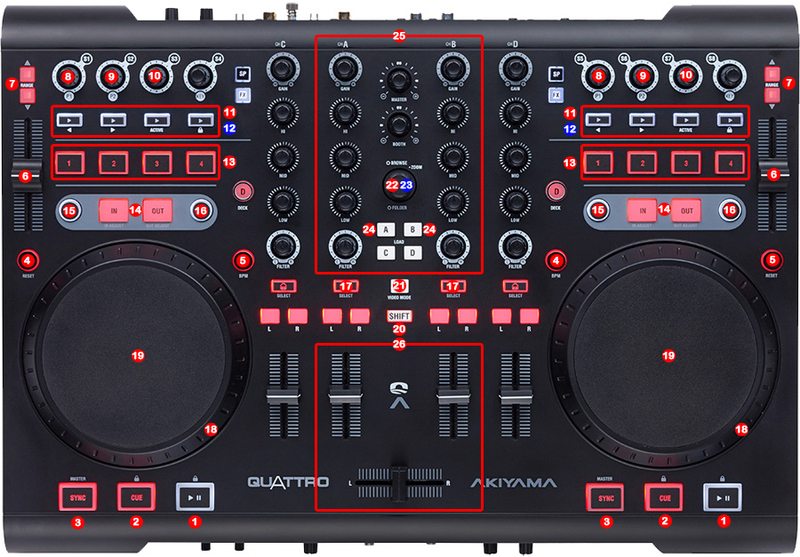 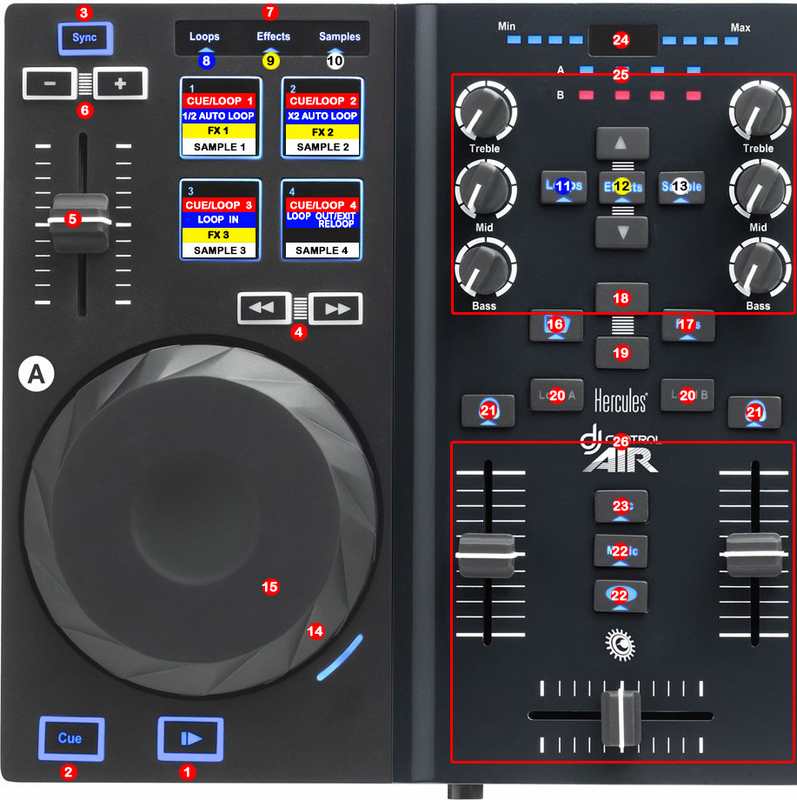 Decks functions: always visible and easily accessible The ergonomics of DJ Promixer allows direct access and easy access to the functions of the tracks. 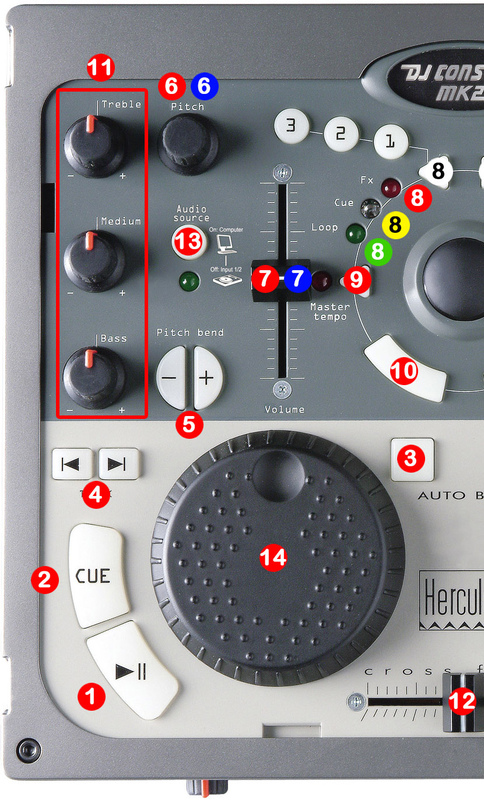 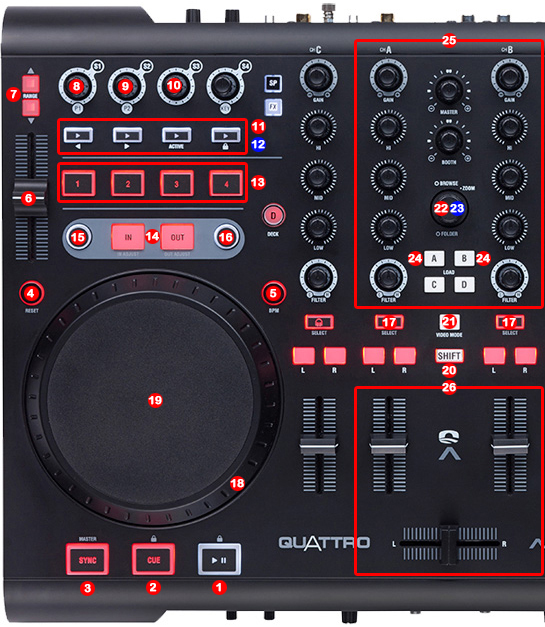 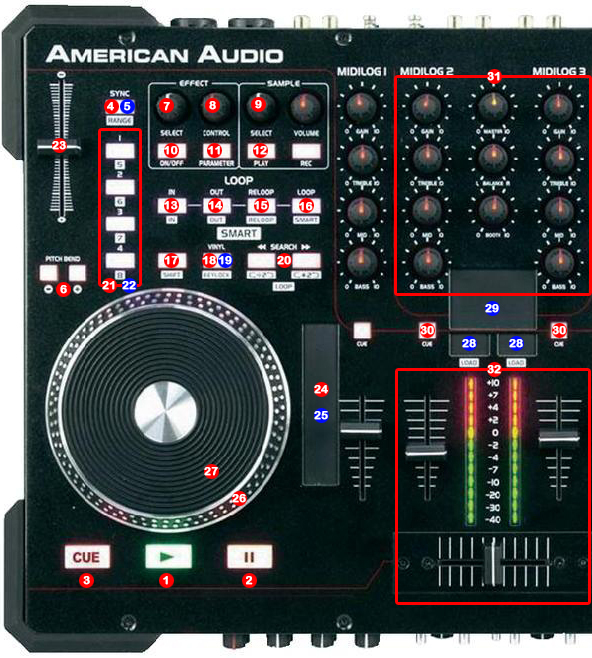 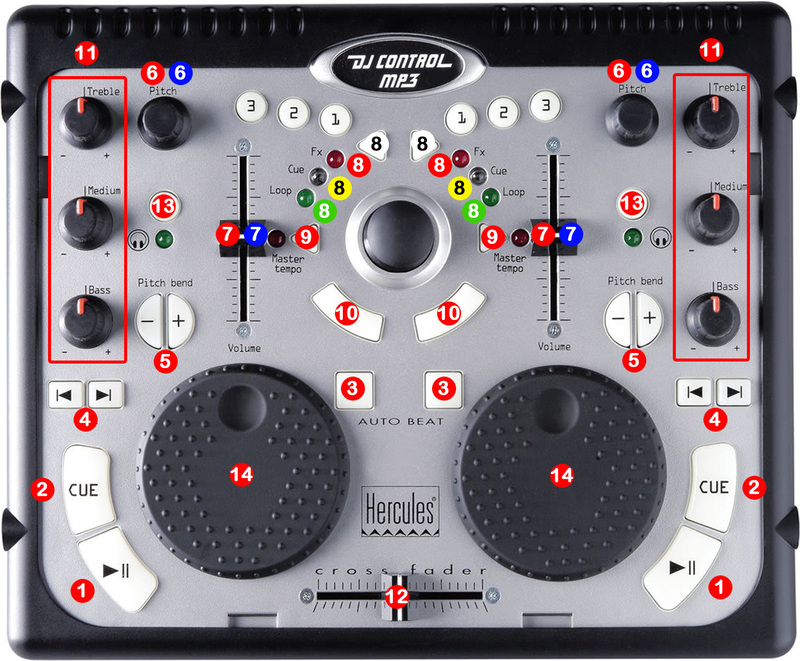 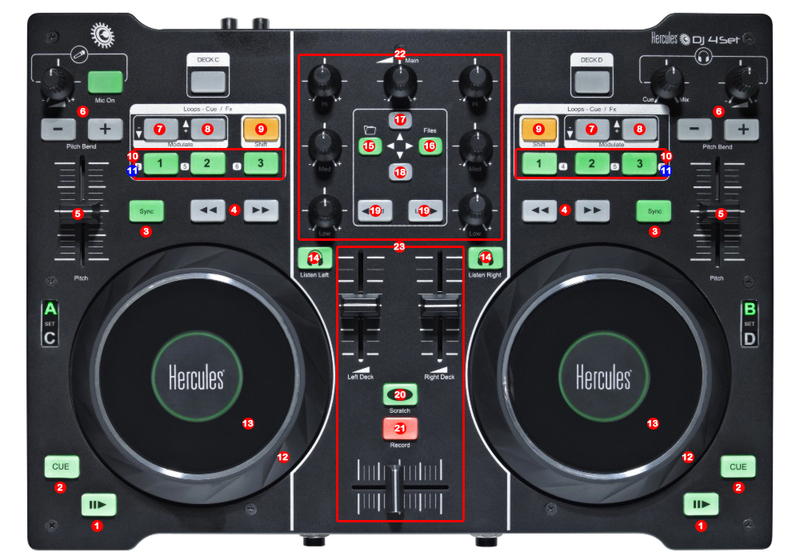 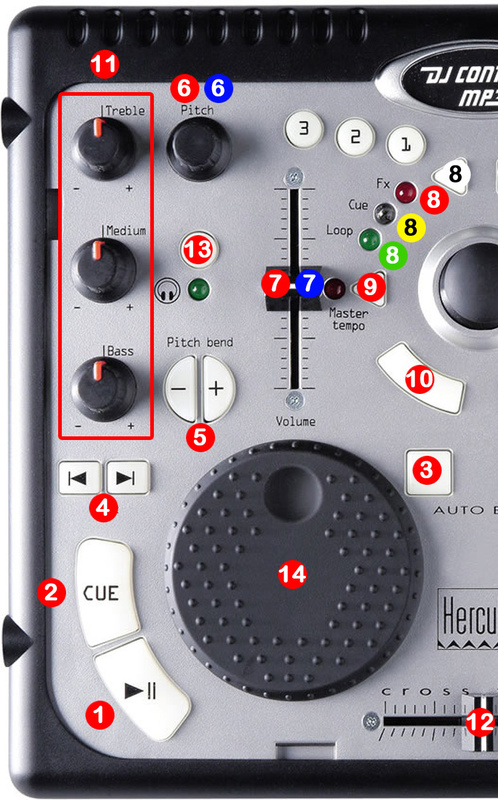 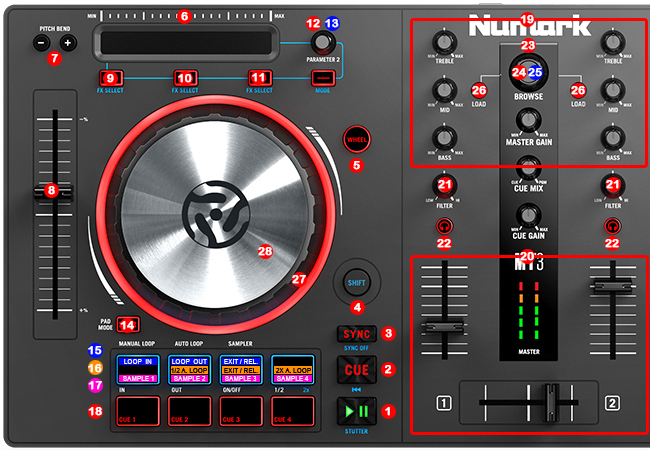 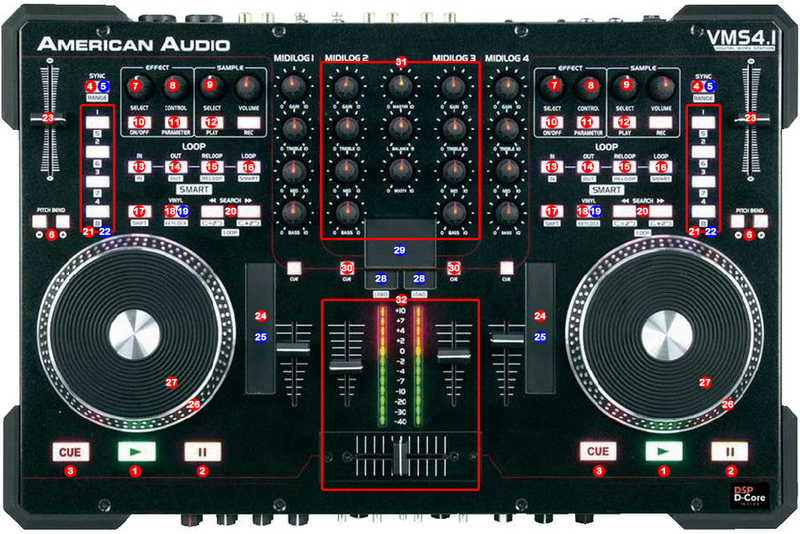 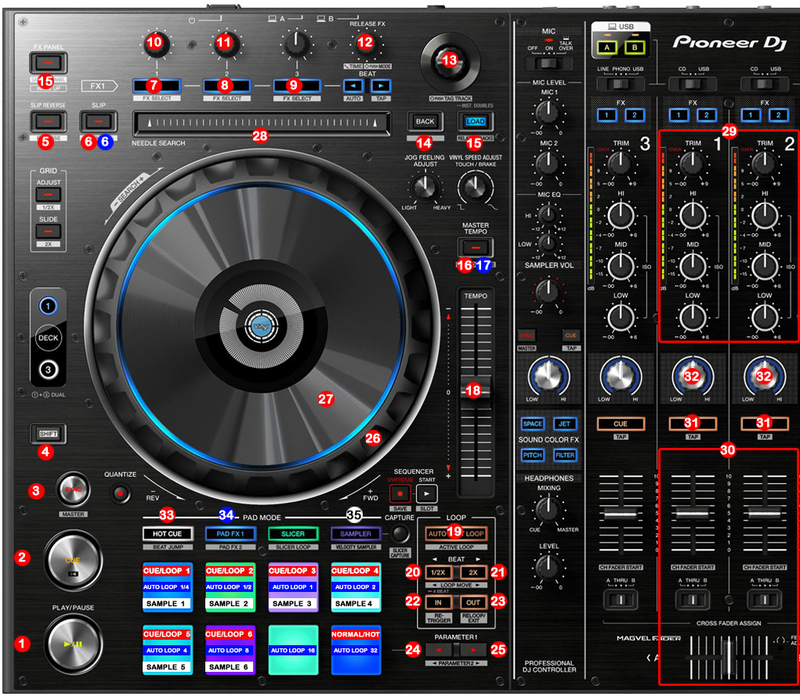 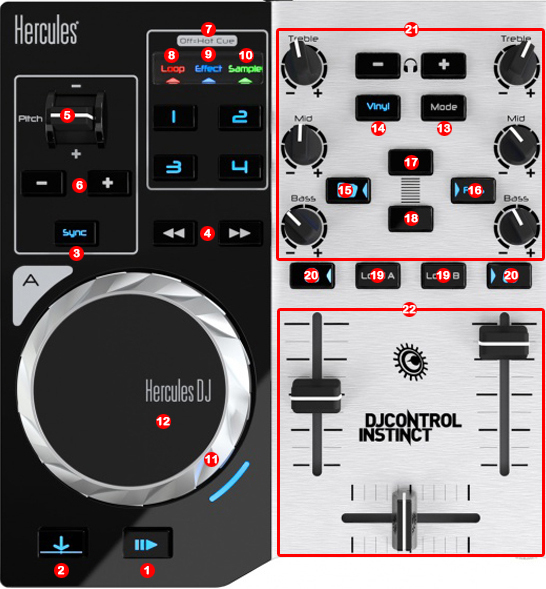 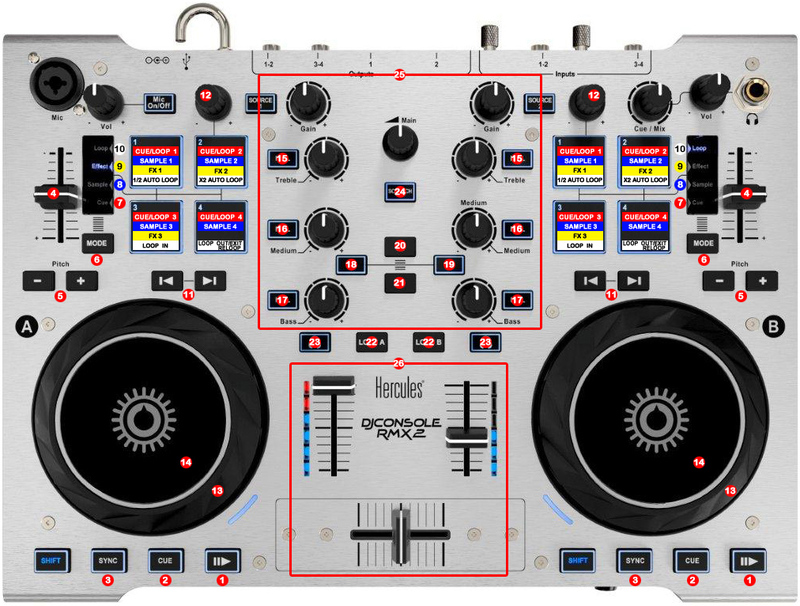 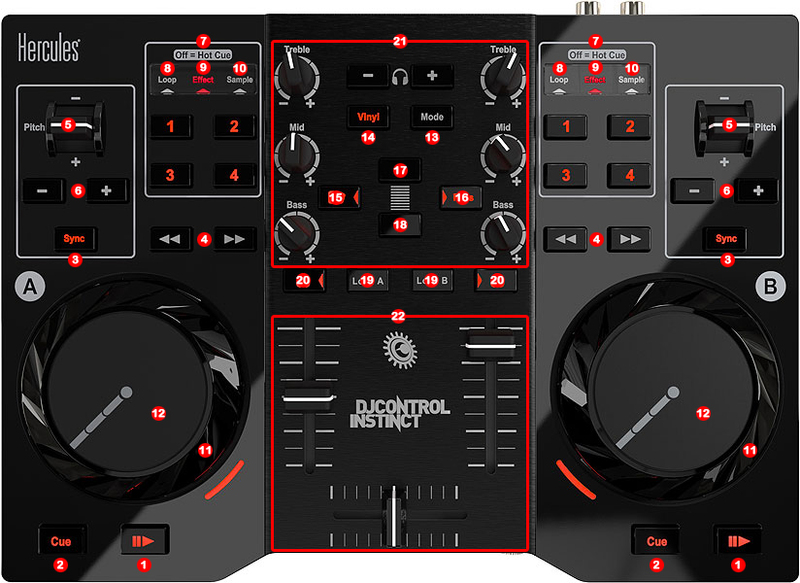 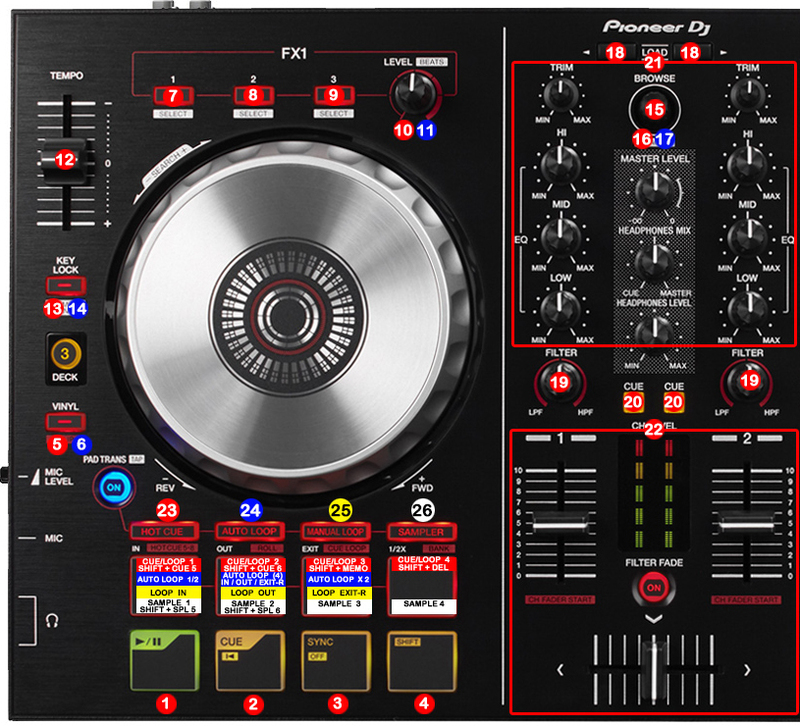 Loops in automatic mode and manual mode, adjustable brake (stop like turntable), load and sync are showed prominently in a function block by deck. 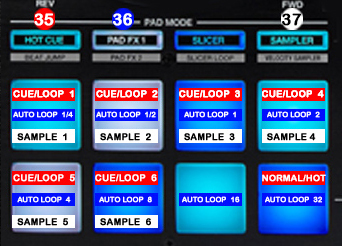 Central Panel Multifunction In the Central Panel ther are alternative functions: Mixer, Sampler and Effects, to not interfere with the view of the List. 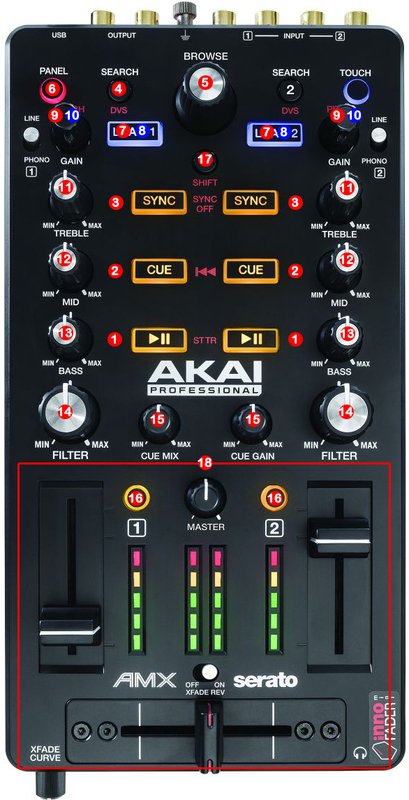 Mixer: includes complete kills, EQ, gain, volume and crossfader Sampler: Six Samplers assignable to each deck´s soundcard, with independent volume. 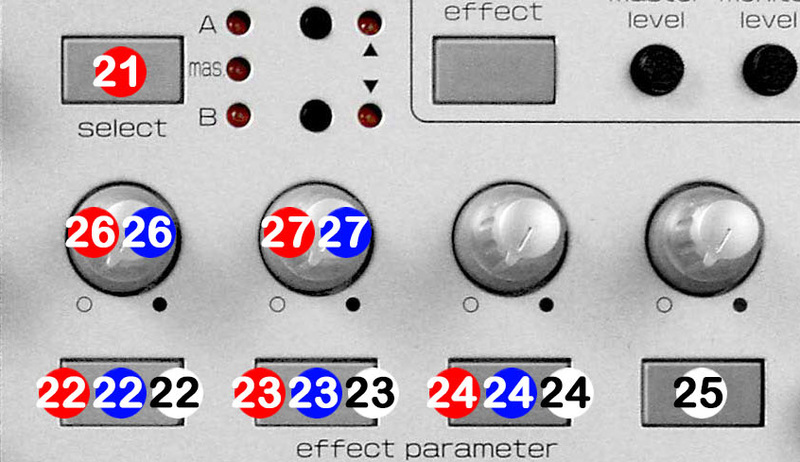 Effects: Echo, Wha, Flanger, assignable for each deck, auto sync (Echo), controls dry / wet and effect parameter. 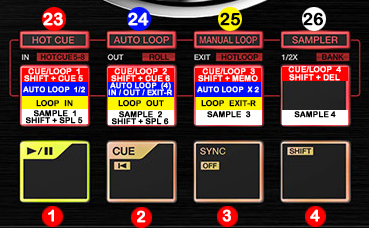 Automix: Parameterization of fade in and fade out. Advanced List List up to three levels Depending on the size of the screen can be made up to three levels with Explorer, Playlist and Groups / Subgroups. User friendly and intuitive, has a very complete and advanced search system in the Playlist and Groups / Subgroups. 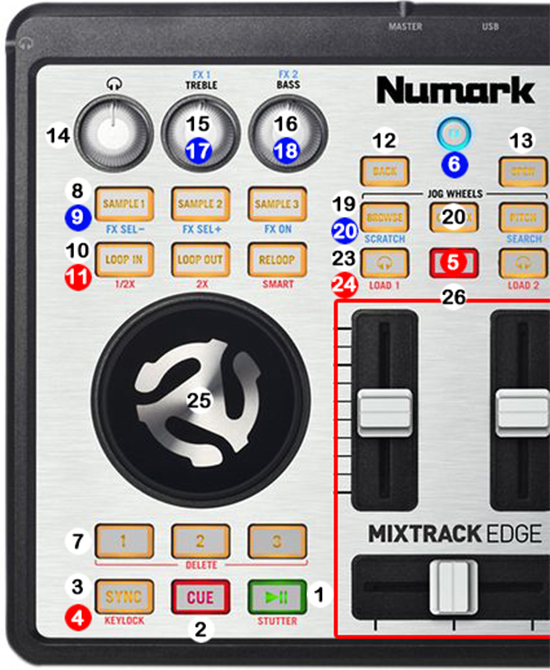 More features: *Complete Mixer with Crossfade between two tracks. 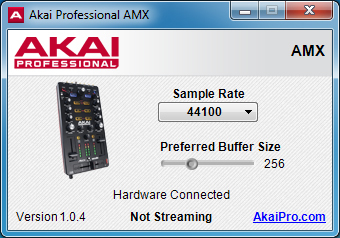 * Automatic beat detection. 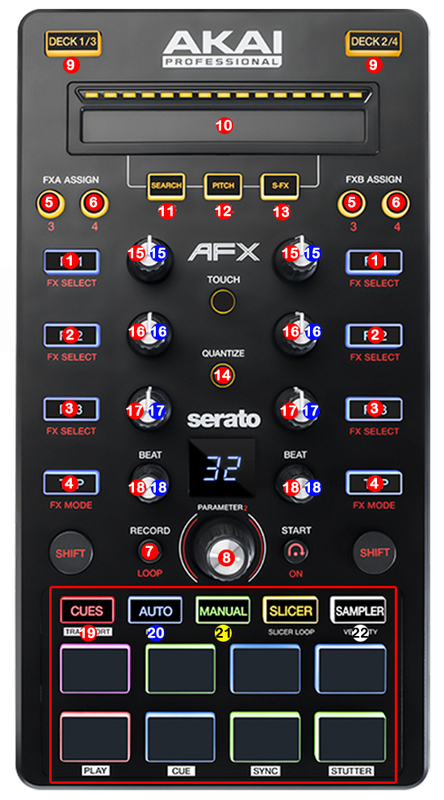 *Automix *Until three simultaneous effects (echo, flanger, wah) * Automatic synchronization between the decks based on BPM. * Supports a large number of audio formats: Mp3, Mp2, Mp1, Ogg, Wav., Aiff, Wma, Fla. * Change the pitch in real time of each track, slow it down or speed it up to manually sync it with the other tracks. 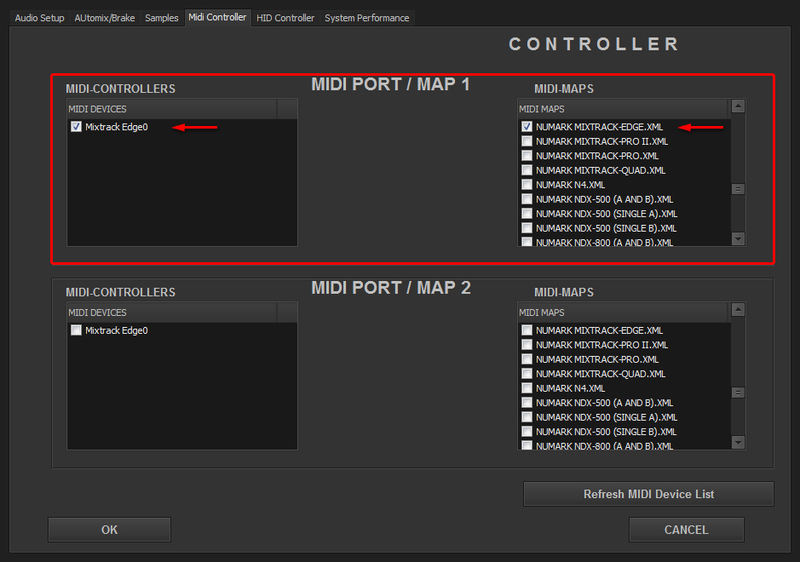 * Add a cue pointer marker at any point in a track to instantly start playing the track from that point in Normal or Hot Mode. 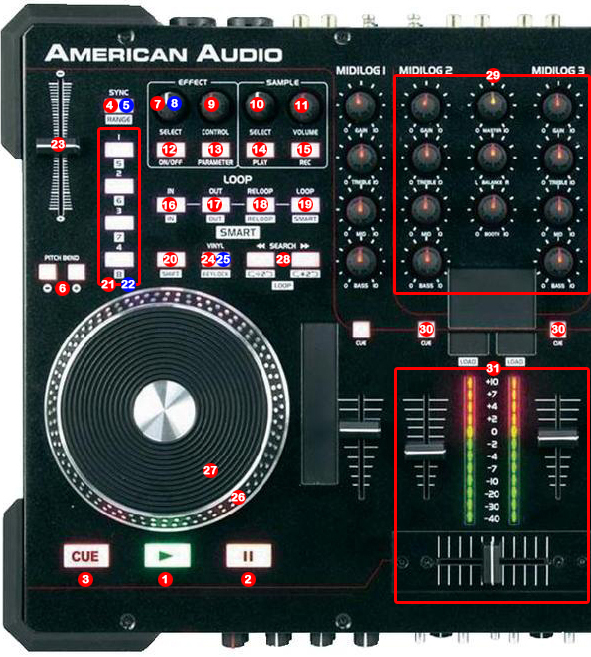 * Real time Equalization on each Deck (track). 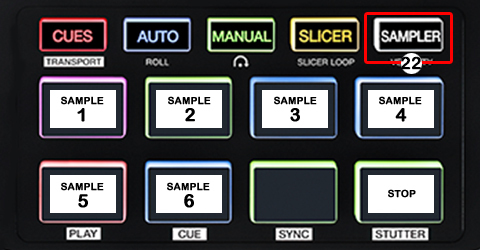 *Six Samplers for each deck. 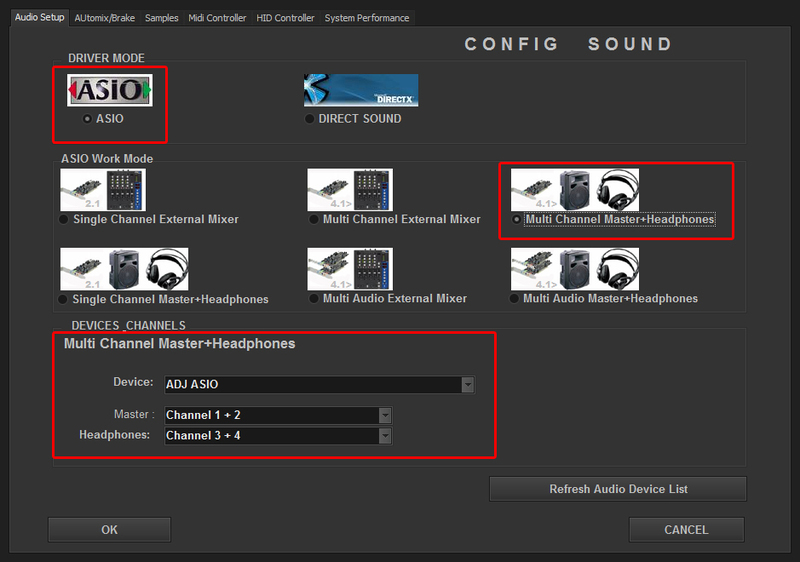 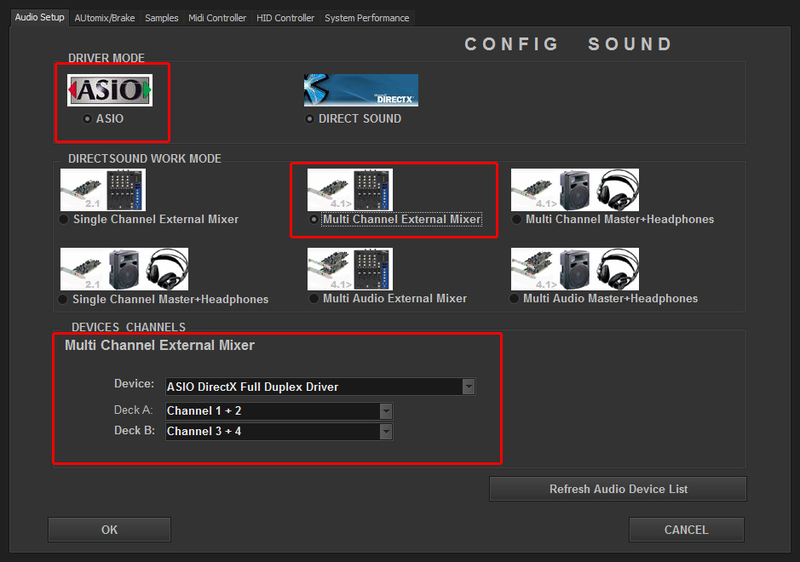 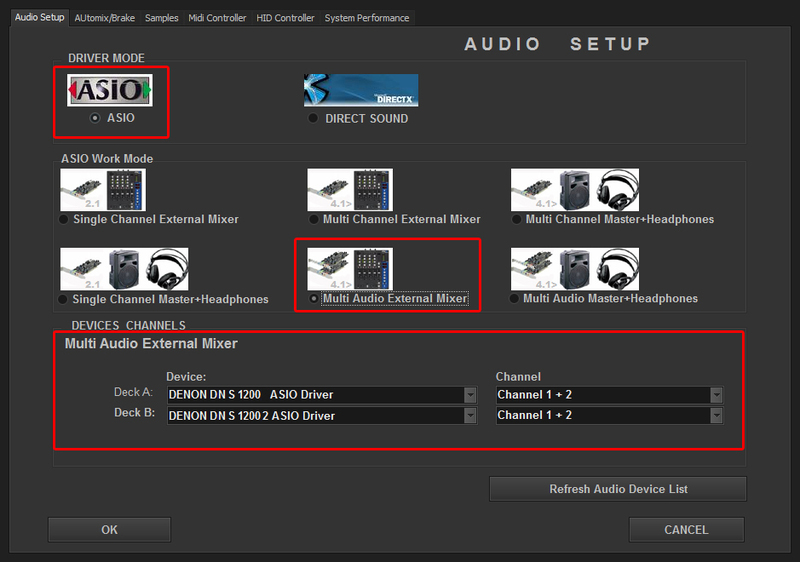 * Complete Audio Setup include ASIO support. 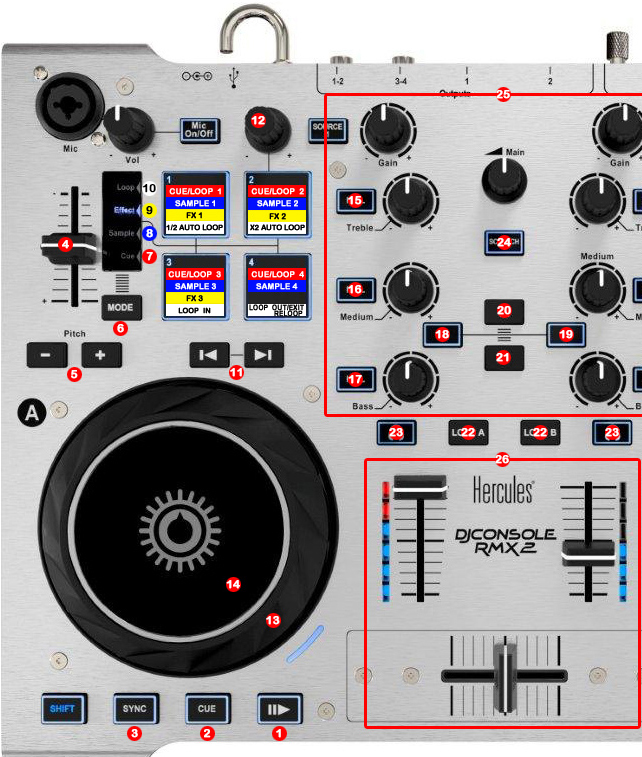 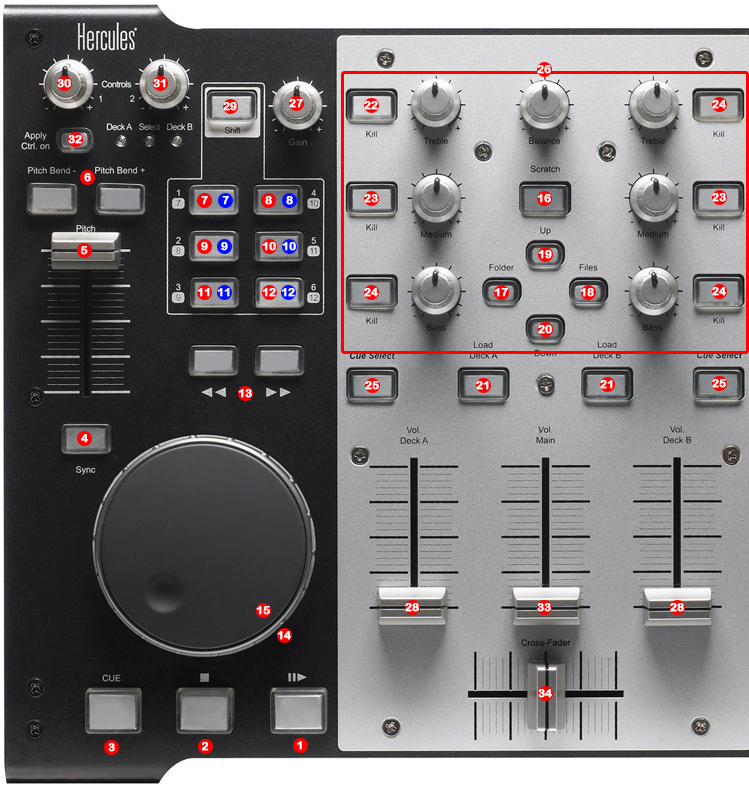 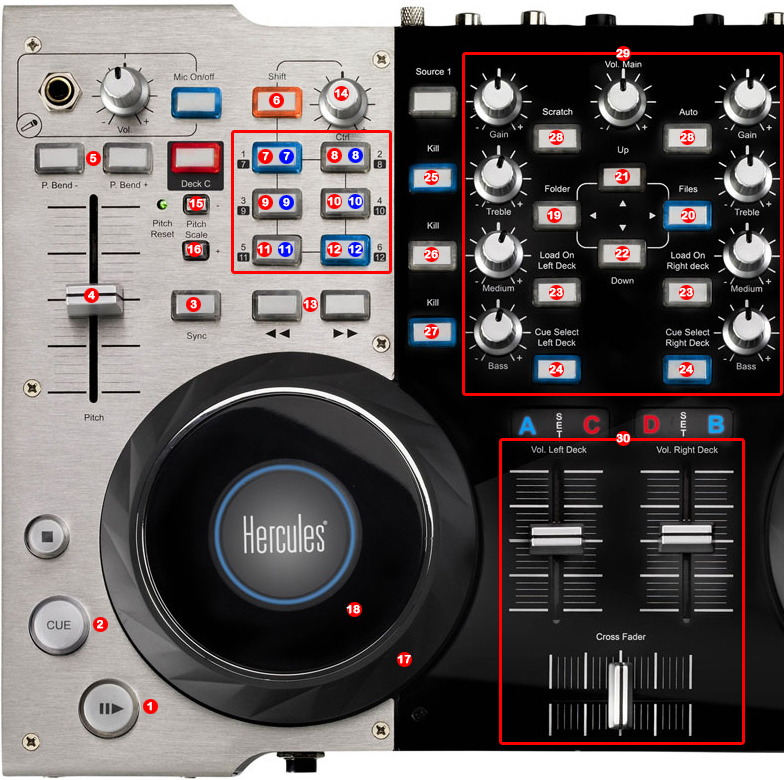 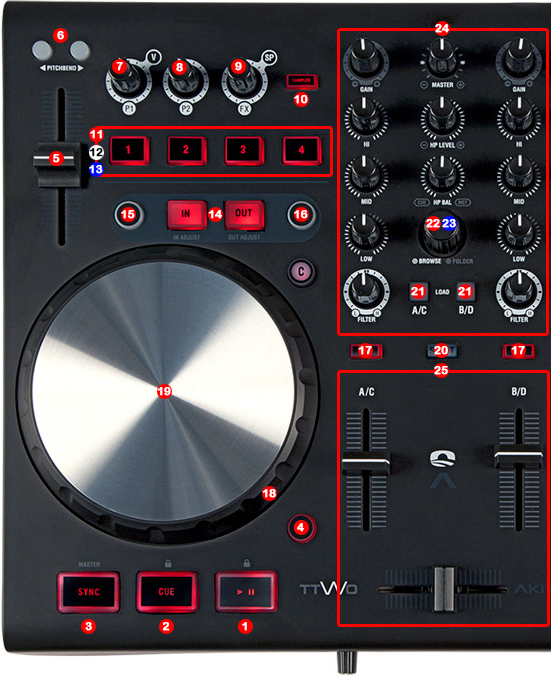 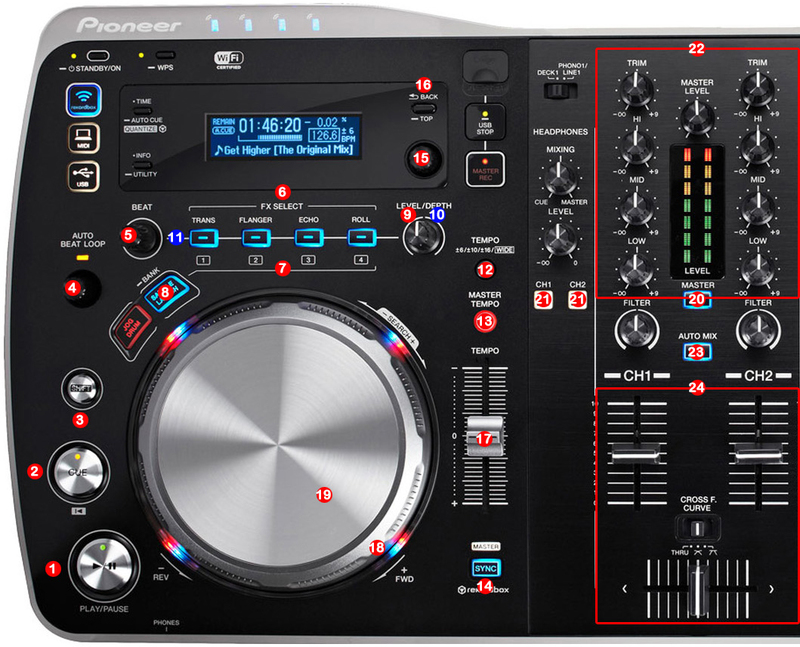 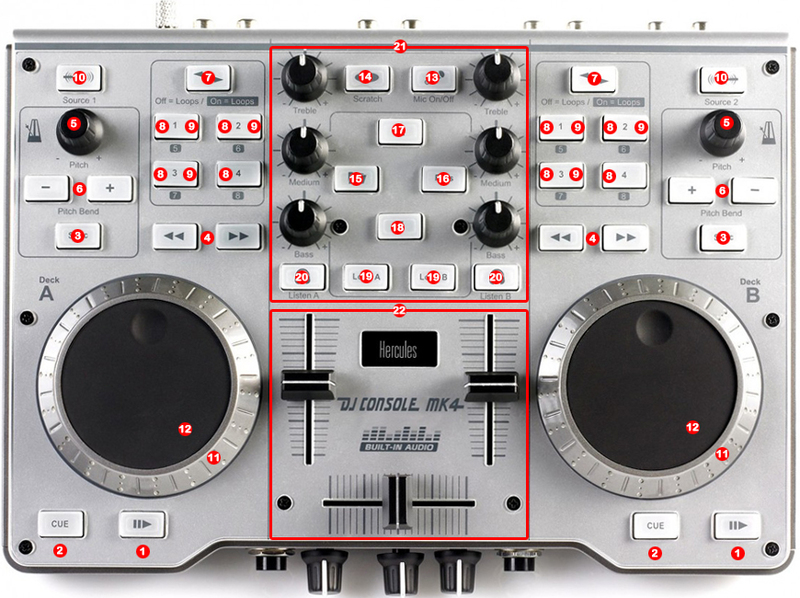 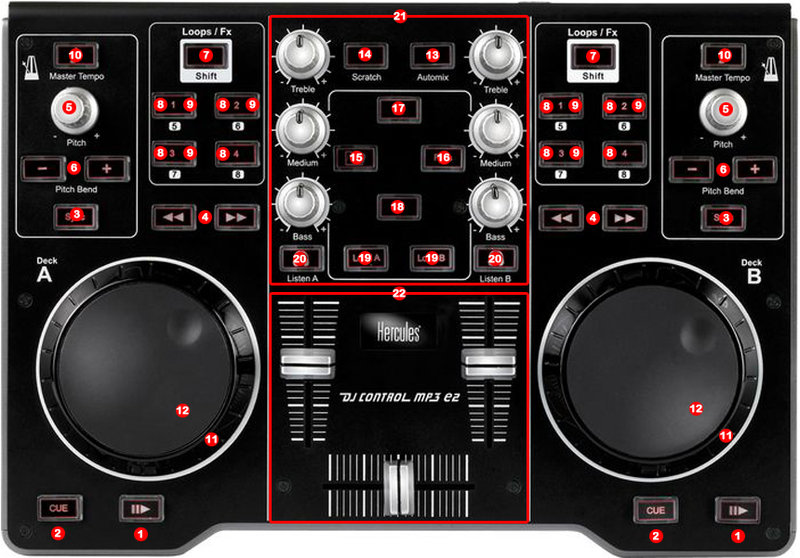 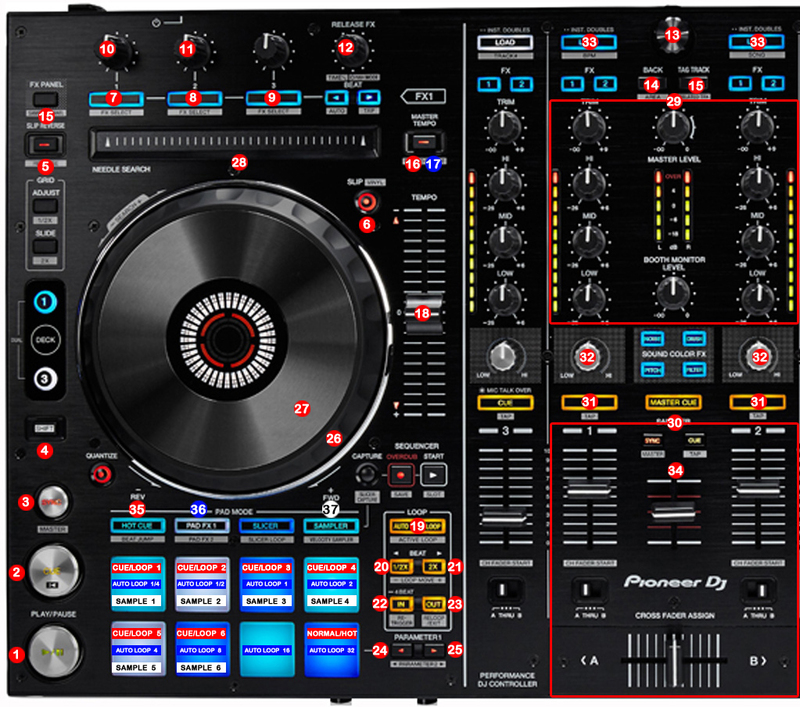 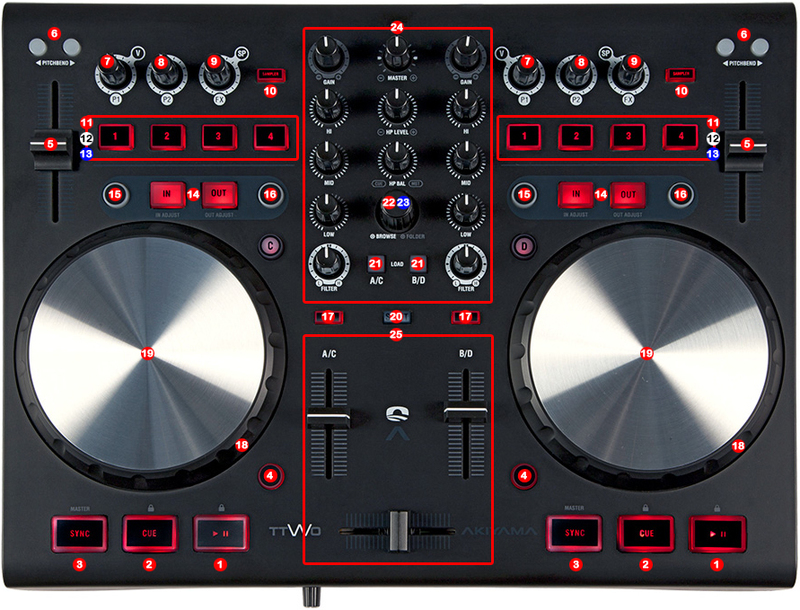 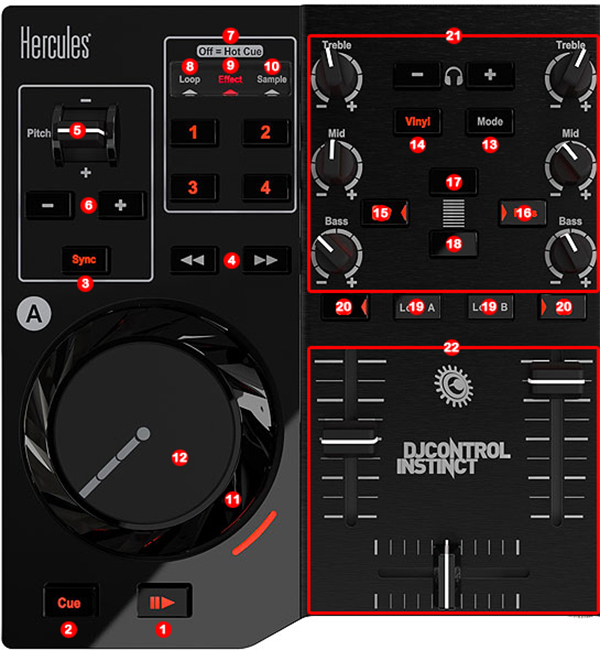 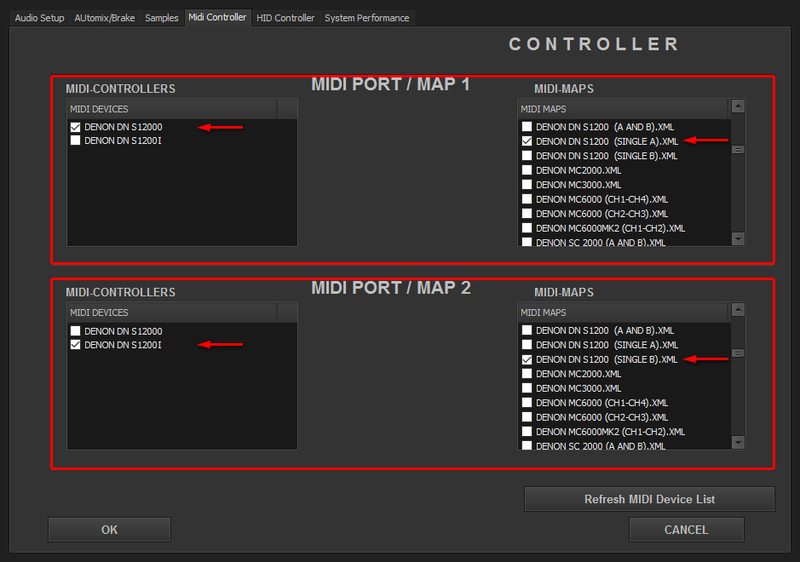 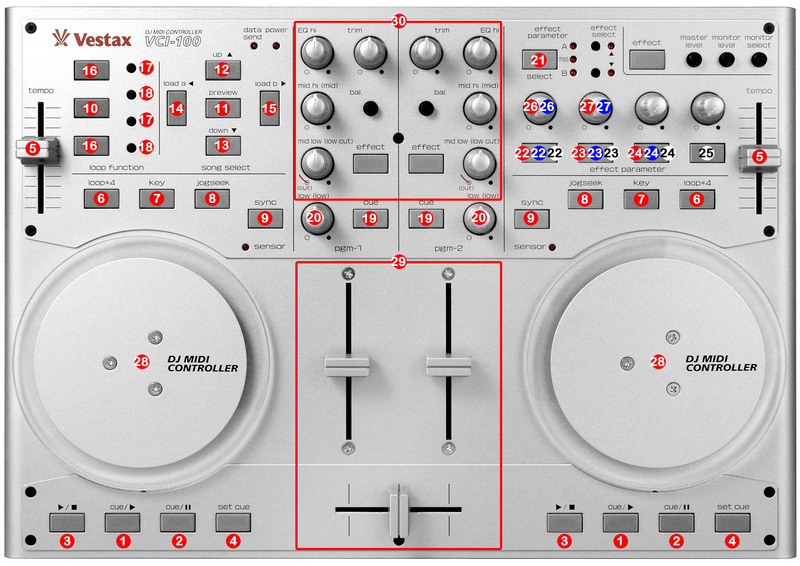 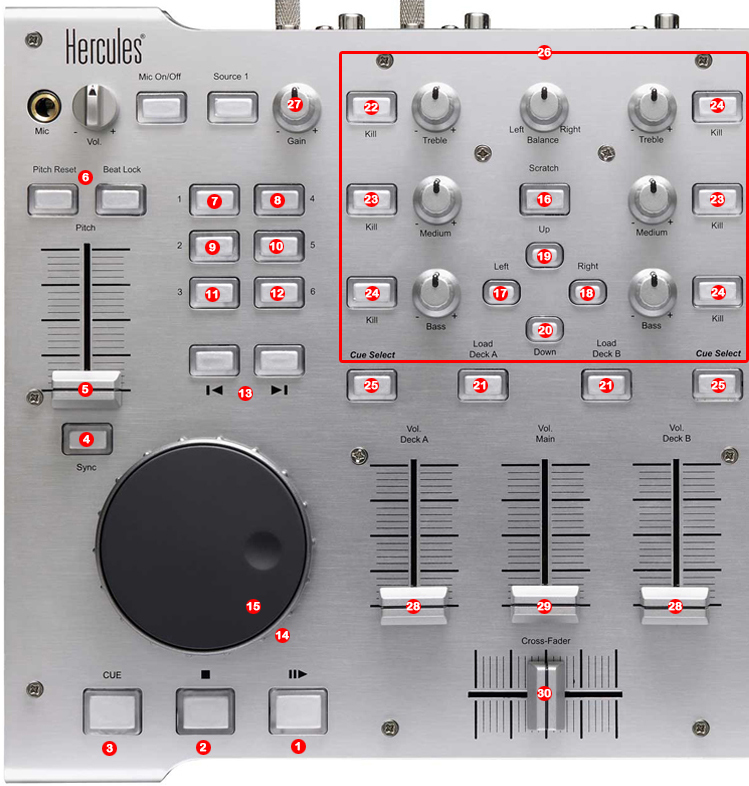 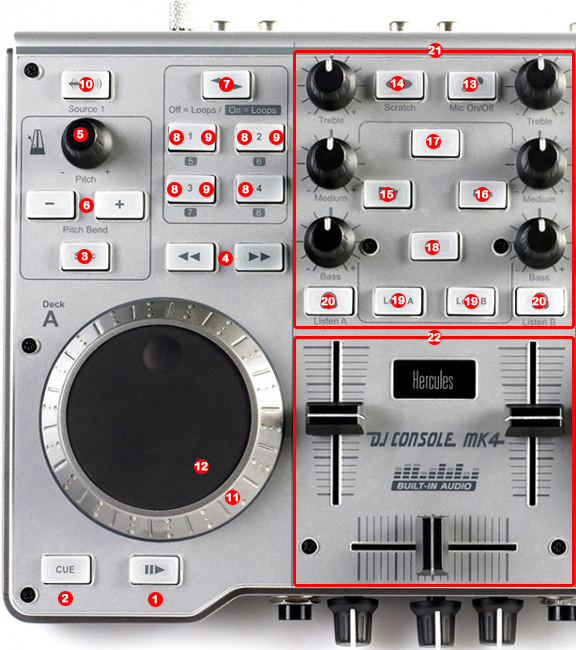 * Simple and intuitive user interface designed for DJ´s.